Leslea Mair is a writer and producer based in Winnipeg, Manitoba. She has been the President and CEO of Zoot Pictures Inc. since 1998. Following completion of her BFA at the University of Regina, Leslea spent a number of years honing her skills as a writer, participating in the PRAXIS writers' workshop in 1992. She joined the Saskatchewan Filmpool Cooperative, serving as president twice. Leslea produced several experimental shorts and directed the experimental documentary Jigsaw, receiving nomination in the Experimental category at the Yorkton International Short Film Festival. She has also written multi-threaded educational multimedia products. In the field of documentary, Leslea researched and wrote the treatment for Two Gun Cohen in 1999, and wrote A Count's Colony for White Pine Pictures in 2000. In 2001 she produced, researched and wrote Edible Shorts, a series pilot and was the writer/producer on Black Tuesday, an hour-long documentary, in 2003. 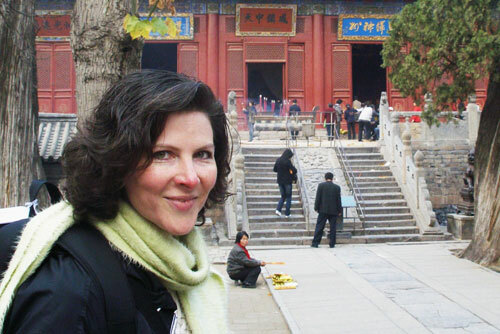 Leslea wrote and produced Big Business, Big Union, Small Town for Canwest Global in 2007 and The Path to Shaolin, which Leslea co-directed in 2009. For 2010 she produced and wrote Operation Extreme Green for CBC's Passionate Eye. Leslea also produced and co-wrote the three part pilot for Weekend Wonder, the award-winning one hour documentary Remote Control War for CBC's Doc Zone, MS Wars for The Nature of Things, Shattered Ground for The Nature of Things, Age of the Drone for Doc Zone, and The Prairie Diner series for CityTV Saskatchewan, finishing its third season. Leslea co-directed, wrote and produced the feature length documentary "Losing Our Religion".